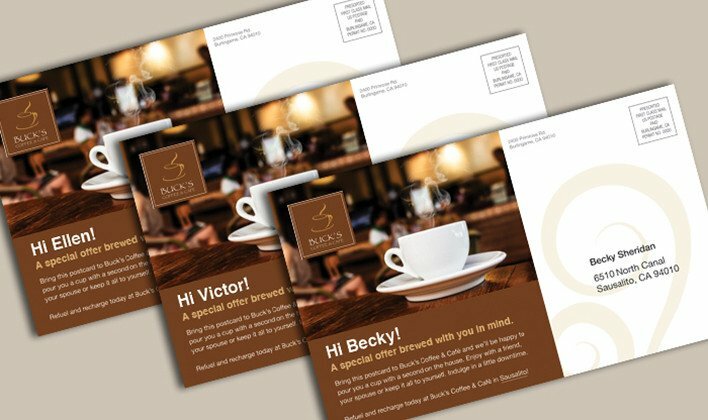 Personalized marketing involves incorporating a recipient’s personal data, such as name, address, or last purchased item into a brochure, email, direct mail postcard, personalized URL or web page. While the degree of personalization is highly dependent on the amount of contact data on file, personalized marketing has been shown to greatly increase response rates. Dynamark can help you craft personalized marketing campaigns using integrated direct marketing programs that deliver the strength of direct mail, combined with variable printing technology, merged with the Internet and email, to give you a powerful way to reach your target audiences. From start to finish, we can manage your mailing list, purchase and apply personalized URLs, create personalized web pages, print personalized marketing materials, mail at discounted postal rates, send follow-up emails, fulfill responses and provide campaign analytics to measure the effectiveness of your marketing efforts and success of your programs. For a free consultation on your next marketing campaign, contact the experts at Dynamark.